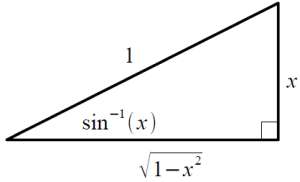 This is a nice trick for calculating the derivatives of inverse trig functions. I'll demonstrate the process for the derivative of . The rest of the inverse trig derivatives can be found using the same method. It is also possible to compute the derivative of an inverse trig function directly, using an explicit expression for the inverse function. The explicit expressions are listed in reference books and various web resources. You can also derive the expressions yourself. 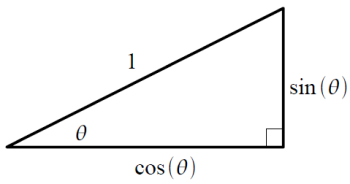 Refer to my page on Inverse Trig Functions for more information.